Wes Loomis grew up with family ties in telephony and was an industrial engineer by profession, but he achieved notable recognition in the telephone industry for his leadership in directory sales and publishing. Following his graduation as an industrial engineer from Massachusetts Institute of Technology in 1935, he joined Automatic Electric Company in Chicago. After World War II, he joined Loomis Advertising Company in Kansas City and, upon the death of his father in 1946, became president of that firm. 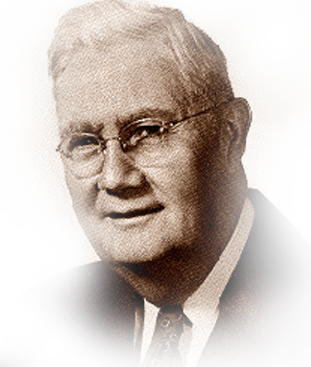 In 1956, Loomis Advertising Company merged with General Telephone Directory Company, which he served as president for 22 years, until his retirement in 1978. During his years of leadership, the company expanded rapidly both in the United States and foreign markets. The firm’s sales increased 3,107 percent and directory revenues became a significant source of income for telephone companies. Loomis served as president of the ITPA from 1964-1966, the only president to serve three terms. He was instrumental in establishing the ITPA Hall of Fame Museum. He received the Pioneering Spirit Award in 1977.